A.S. ROMA 3-0 Torino F.C. A.S. ROMA 4-2 Internazionale Milan F.C. A.S. ROMA 1-1 Empoli F.C. A.S. ROMA 0-0 Parma F.C. A.S. ROMA 1-1 Juventus F.C. A.S. ROMA 1-1 Atalanta B.C. A.S. ROMA 2-0 Genoa F.C. 8 - Adem Ljajić, Francesco Totti. 5 - Miralem Pjanić, Alessandro Florenzi, Radja Nainggolan. 2 - Yao Gervinho, Seydou Kéita, Daniele De Rossi, Seydou Doumbia, Vassilis Torosidis, Juan Iturbe. 1 - Jose Holebas, Davide Astori, Douglas Maicon, Leandro Paredes, Mapou Yanga-Mbiwa. 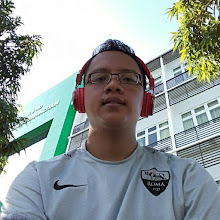 4 - Alessandro Florenzi, Yao Gervinho. 2 - Adem Ljajić, Kevin Strootman, Daniele Verde, Radja Nainggolan. 1 - Morgan De Sanctis, Mapou Yanga-Mbiwa, Seydou Kéita, Douglas Maicon, Jose Holebas, Juan Iturbe, Salih Uçan, Victor Ibarbo. 12 - Daniele De Rossi. 10 - Radja Nainggolan, Davide Astori. 9 - Miralem Pjanić, Vassilis Torosidis, Alessandro Florenzi. 5 - Jose Holebas, Kostas Manolas, Francesco Totti. 3 - Douglas Maicon, Seydou Kéita, Mattia Destro. 2 - Ashley Cole, Leandro Paredes, Adem Ljajić. 1 - Yao Gervinho, Kevin Strootman, Salih Uçan, Morgan De Sanctis, Victor Ibarbo, Michele Somma, Urby Emanuelson. 1 - Daniele De Rossi, Vassilis Torosidis, Seydou Kéita.